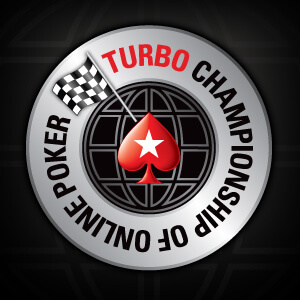 The PokerStars Turbo Championship of Online Poker (TCOOP) 2013 starts tomorrow (January 17th – January 27th 2013). There are a total of 50 poker tournaments on the schedule with turbo blind levels and there is $15M in guaranteed prize pools to be won. Last year was the inaugural PokerStars TCOOP Event and there was $10M GTD across 50 turbo tournaments. There ended up being over $19M in prize money handed out last year during the series and I expect that total to break $20M this year. You can view the full schedule of 50 tournaments on the TCOOP page at PokerStars. We want to highlight a few of the big tourneys that are on the schedule. Don’t forget that satellite events are still running to event tourney at PokerStars right now. The opening event tomorrow already has a huge playing field of over 9000 players and at just $27 anyone can play. There are a few unique format tournaments during TCOOP and multiple poker games including Holdem, Omaha, Draw and mixed poker games. The main event isn’t until January 27th at 15:30, but make sure you mark your calendar and buy/win your seat. The prize pool will be a minimum of $2M guaranteed and the winner of the PokerStars TCOOP 2013 Main Event will win at least $300K. Like every other major tournament series at PokerStars, the TCOOP will have a leaderboard and added prizes available. Players will earn points on the TCOOP 2013 leaderboard each time they cash in one of the TCOOP tournaments on the schedule. 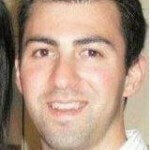 At the end of the series on January 27th 2013 the top 50 players on the leaderboard will win a prize. I’ve listed the prizes that players will be fighting for over the next 10 days below and I must say that there are some big money prizes to be won. If you need to reload your account before the PokerStars TCOOP 2013 begins there is a bonus that’s valid until tomorrow. You can earn a free $27 TCOOP ticket to use on one of the many $27 TCOOP tournaments by depositing $100+ to your account.